Isobar has been selected as UNIQLO’s digital agency in Hong Kong, following a competitive pitch. The agency will work with UNIQLO on its overall digital strategy to maximise the use of digital in various brand communications, and create new digital experiences for UNIQLO customers. Isobar will handle all social media and digital marketing activities including website and mobile updates and maintenance. 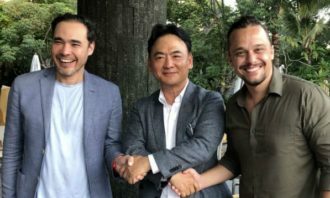 In addition, Isobar will work with UNIQLO to develop seasonal and product-focused campaigns, supporting Dentsu with the digital elements of their fully integrated brand campaigns. 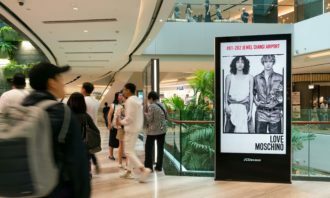 Maye Shiao, marketing manager at UNIQLO Hong Kong, said it was a tough pitch but in the end the strategy, the “creative approach and talented team” at Isobar stood out. David Jessop, managing director at Isobar Hong Kong, added that UNIQLO was a digitally progressive and forward-thinking brand. Isobar recently launched two campaigns for the brand. A sampling and testimonial campaign for UNIQLO’s AIRism innerwear product, which aims to create awareness of the breakthrough features of the product (smooth, light, quick dry, stretch, non-odour functions). Consumers are encouraged to pitch why they need the product, with the best given product to try. The second campaign, ‘Next UT Star’ launches the new UNIQLO’ T-shirt (UT) range by finding UT’s next brand spokesperson. Consumers are encouraged to find their own UT style and express their own unique sense of fashion by sharing their fashion photos with UNIQLO through a specially created campaign site, Instagram or social platform Line, with the chance to win a host of prizes and be named the new UT spokesperson. Kimberly-Clark's diaper brand Huggies has launched Hong Kong's first 'social bus' campaign to fulfill parents' dream of making the..
Adidas has unveiled its five year plan to boost its brand desirability, with an increased focus on its eCommerce offering and mark..